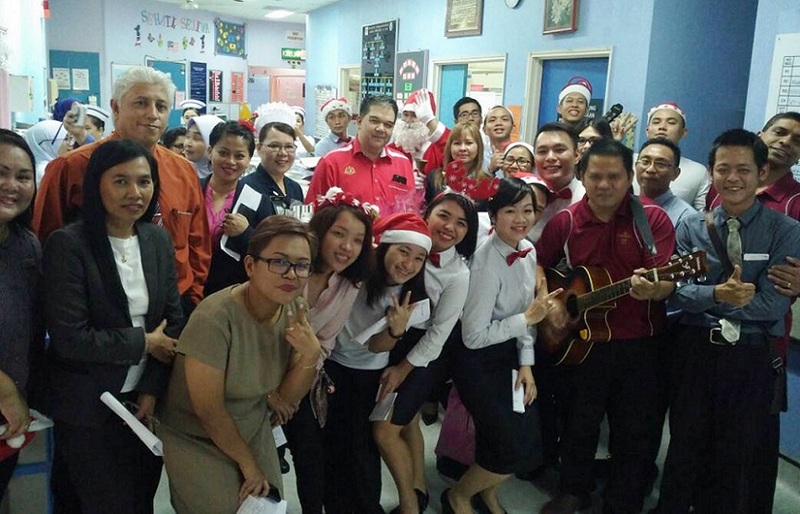 The team from Dorsett Grand Labuan who brought Christmas joy to the children and women at the Labuan Nucleus Hospital with gifts and singing carols. 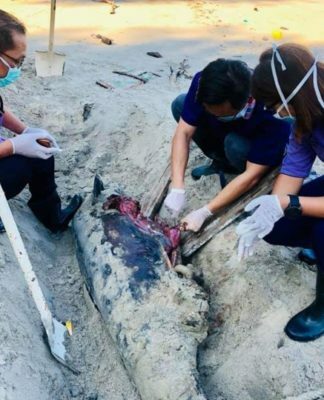 LABUAN: A premier hotel of Dorsett Grand Labuan continues its corporate social responsibility (CSR), spending time visiting patients at the Labuan Nucleus Hospital recently. A team of 20 staff led by Susan Carlos, its general manager, visited patients at the women and children wards, giving away goodies of cakes and children’s teddy bear. 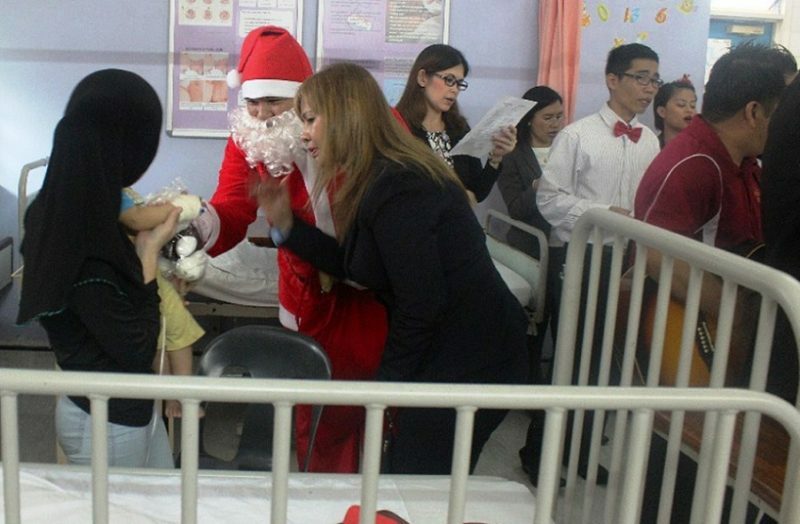 “This is part of our CSR every year especially in view of Christmas, we want to bring Christmas joy to the children and mothers at the hospital, and we hope our visit will help cheer them up,” she said. Susan coaxing a child to get her Christmas gift from Santa. The event, in line with its charitable programme tagline “Giving is Helping”, saw patients and their parents and guardians treated to hearty meals as well. “Being a responsible and caring hotel, we felt the need to touch the hearts of these children and mothers regardless of religion especially during this Christmas season. “We believe that giving is a way of helping, whereby giving back to the community is a big part of living a meaningful life,” she added. Ghilorine Gabriel, Dorsett Grand’s public relations coordinator, said at least 10 children and 17 women warded at the hospital received gifts in conjunction with the festive season.